0% APR Financing For up to 60mos. 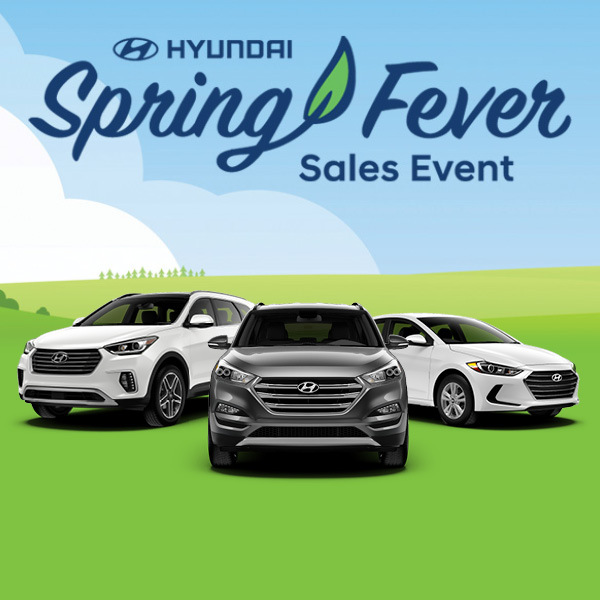 Hyundai - 0.0% Annual Percentage Rate (APR) up to 60 months. 1.9% Annual Percentage Rate (APR) up to 72 months. 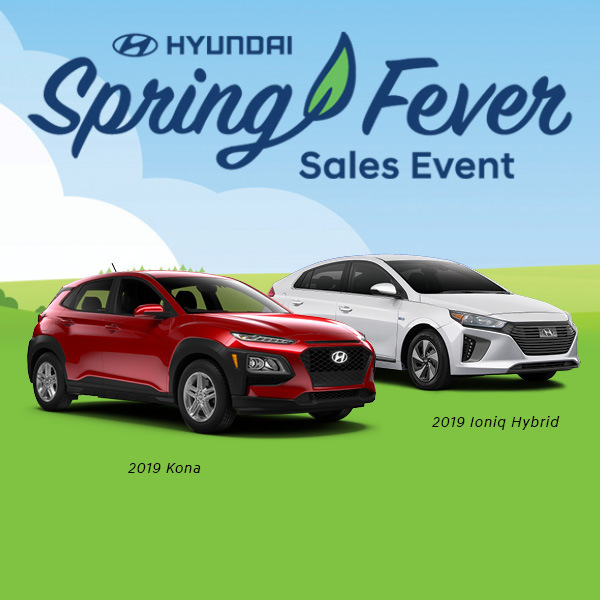 APR financing available, subject to credit approval by Hyundai Motor Finance to very well qualified buyers and not available on balloon financing. Only a limited number of customers will qualify for advertised APR. Down payment will vary depending on APR. Not all models will qualify. See dealer for details. Offer expires 04/30/19. 2019 Hyundai Kona or Ioniq Hybrid - Must Lease through Hyundai Financial to qualify for this payment. Offer cannot be combined with any other discounts or special promotions. Payments are plus taxes, title, license fees an includes $799 dealer fee. See dealer for details. Offers Valid through 04/30/19. 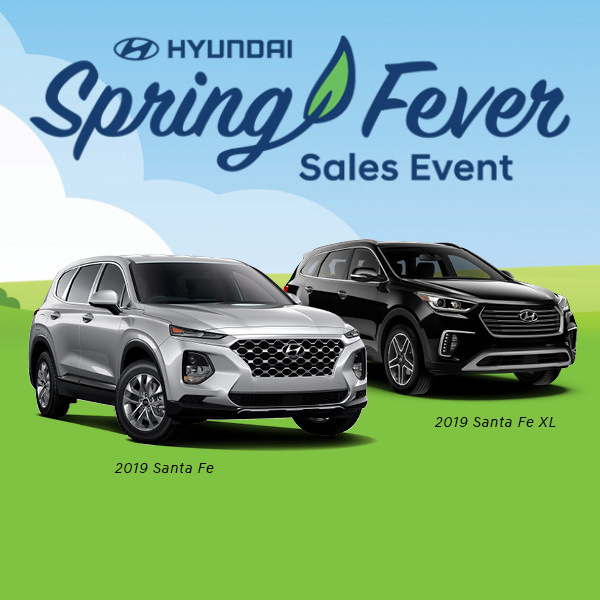 2019 Hyundai Santa Fe or Santa Fe XL - Must Lease through Hyundai Financial to qualify for this payment. Offer cannot be combined with any other discounts or special promotions. Payments are plus taxes, title, license fees an includes $799 dealer fee. See dealer for details. Offers Valid through 04/30/19. 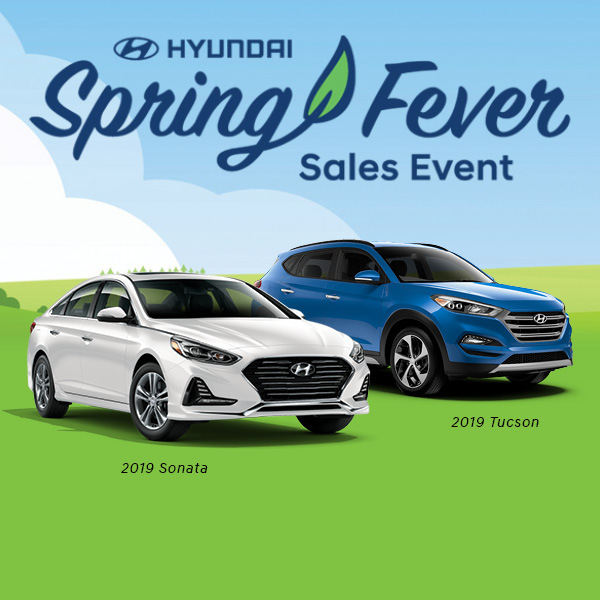 2019 Hyundai Tucson or Sonata - Must Lease through Hyundai Financial to qualify for this payment. Offer cannot be combined with any other discounts or special promotions. Payments are plus taxes, title, license fees an includes $799 dealer fee. See dealer for details. Offers Valid through 04/30/19. 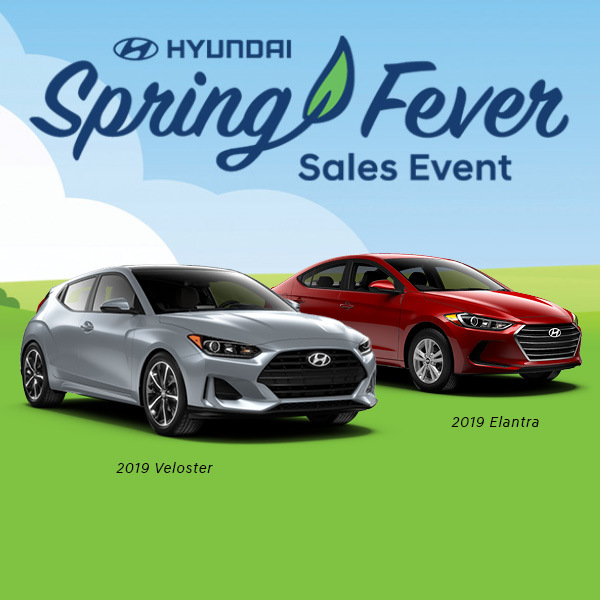 2019 Hyundai Elantra or Veloster - Must Lease through Hyundai Financial to qualify for this payment. Offer cannot be combined with any other discounts or special promotions. Payments are plus taxes, title, license fees an includes $799 dealer fee. See dealer for details. Offers Valid through 04/30/19.